Not many people know that the Pensonic electrical brand is truly a Malaysian brand. Managed under the Pensonic Group, it was founded by Dato Chew Weng Khak where he started back in 1965. That was when he was selling electrical appliances in Penang then under the Keat Radio Co then. Chew would then start the Pensonic which would eventually grow into a true local brand where they are endorsed by prominent Malaysians that include Amber Chia, Anita Sarawak, Dato Chef Ismail and many others. Today, Pensonic offers a full range of home electrical products where its name came through the meaning of ‘Sound of Penang’. As a brand, Pensonic has receive various industry recognitions and awards that further cement it as one of Malaysia’s top brands. One of the controversies that Pensonic was embroiled in was when Panasonic, the brand by Japan’s Matsushita group felt that Pensonic might have rode on the success of its brand name. Hence, Panasonic tried to stop Pensonic from being marketed in some countries where it won the injunction in Singapore while in other countries like Sri Lanka, Pensonic was allowed to continue marketing the brand. 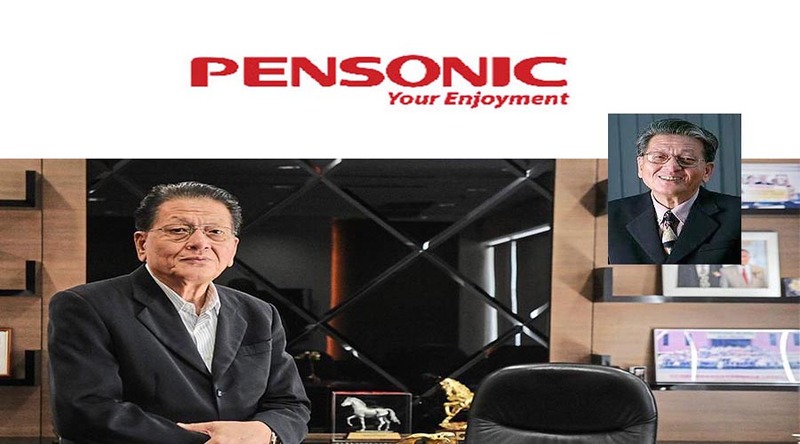 One of the most remarkable achievements of Pensonic is Chew’s strong belief that a Malaysian brand could be as successful as the imported ones where despite the disputes with Panasonic, it was another feather to Chew’s cap when Pensonic was appointed to lead the development of a home appliance manufacturing hub under the recently announced ETP (Economic Transformation Programme). Chew said that the success of the group was its customer-oriented strategy as well as in keeping strong to the local roots. Chew made Pensonic into a brand which Malaysians could associate with while offering top quality products and customer services to compete with the ‘bigger brands’. Today, Pensonic stands among all other brands that come from Europe as well as Japan and Korea and is one of the most preferred brands among Malaysians for its affordability and quality of product.